Nico Monforte suffered a broken tibia and fibula during a freak skiing accident a day before the Freestyle Junior World Championships in Valmalenco, Italy, last week. Nico Monforte’s first full season dedicated to skicross racing has gone about as smoothly as he could have hoped. The 2013 North Tahoe High grad was recently named to the Freestyle Junior World Championships Team for the third consecutive year, following a second- and third-place finish in NorAm competition at Beaver Valley, Ontario, Canada. 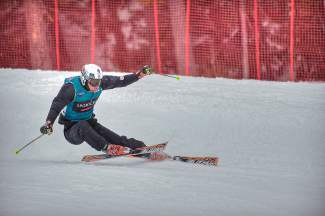 He’ll compete in the Freestyle Junior World Championships in Valmalenco, Italy, on April 6. Monforte, who has received six World Cup starts this season, will look to score more podium finishes before the year wraps up at Junior Worlds. He has two races at Mt. Hood Meadows on March 22-23 and NorAm finals at Sunshine Village, Banff, on April 8-9. He’ll then head to Europe on March 25 to race the German and Italian Nationals. Highlights from Monforte’s season include a 12th- and 15th-place finish in FIS skicross races in Hovfjället, Sweden, a third-place finish at the U.S. Freeskiing Revolution Tour Mammoth Mountain, and eight top-10 finishes so far on the NorAm Tour. 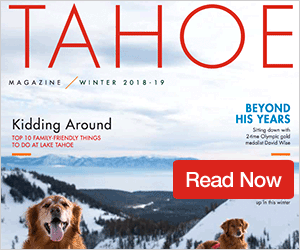 Monforte, who began ski racing at the age of 4, developed into one of the fastest alpine skiers in the Far West ranks with the Squaw Valley Ski Team. 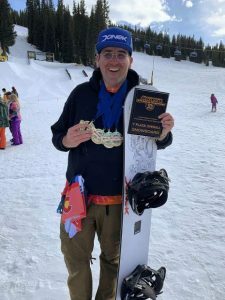 He earned a silver medal in both the slalom and overall at the 2009 Junior Olympics, and placed first in the giant slalom and third in slalom at the 2011 Western Region Junior Championships. 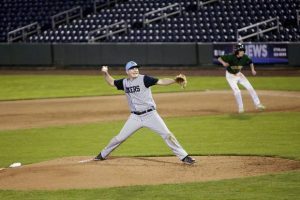 Monforte also helped lead his North Tahoe alpine squad to back-to-back Tahoe Basin League state titles in 2011 and 2012, while winning the individual combined title in 2012. 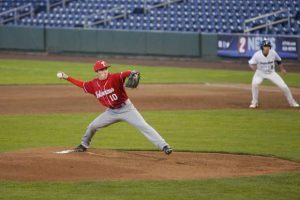 He switched from alpine racing to skicross after attending a training camp at Mammoth with his cousin, Olympic skicross racer John Teller, near the end of the 2011 season.